We live in a time in which more images are taken by and for machines than by human beings. The way they see and construct the world has real implications. Ways of Seeing is an immersive experience in which you can perform the role of different machines and explore the world through their eyes. Wandering through the city as a smartphone constantly looking for facial features, the world appears as a flickering, triangulated accumulation of vectors. 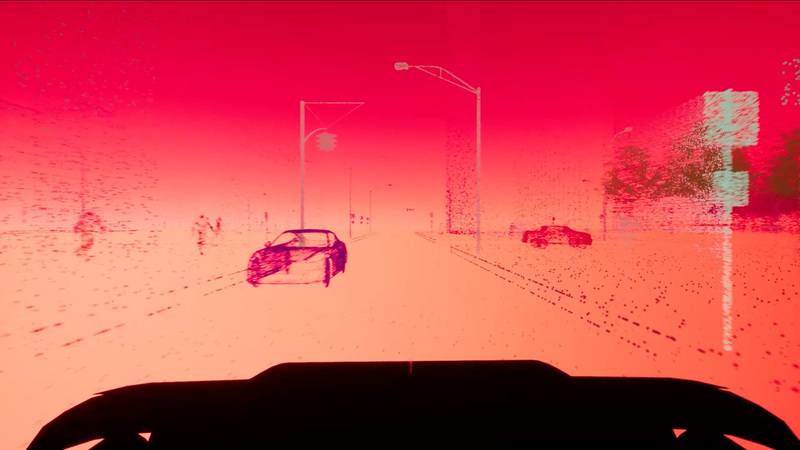 Constructing the environment as a giant point cloud, an autonomous car attempts to navigate through the streets. At night, a drone detects the body heat of the city’s inhabitants with its infrared sensors. This is a game environment to engender forms of empathy and understanding for how machines construct the world. By clicking on different subject positions you are able to switch between different cameras, different algorithms and ultimately different ways of seeing.